The view from the Jebal Humr, with a Short Rangoon of 203 Squadron RAF aground on a reef in 1934, and a Masirah based BAe Hawk of 6 Sqadron RAFO in 1995. Starting in the mists of ancient history and folklore, Masirah is the fascinating story of an Omani Island in eastern Arabia. In the 1930s Masirah became one of a number of unmanned staging posts between the RAF bases in Iraq and Aden. It was a hazardous trip for the crude RAF biplanes of the era since the route crossed underpopulated and inhospitable terrain. The flights were not without serious incidents. The Second World War led to a major expansion of activities at Masirah. Anti-submarine flying-boats and land aircraft were based on the island together with high speed rescue launches. There were also RAF and American staging posts to the war against the Japanese, and a BOAC outpost. The RAF and the Dutch squadron endured extremely primitive living conditions, and it was little better after the war when the station strength shrunk from about a thousand personnel to just eleven. 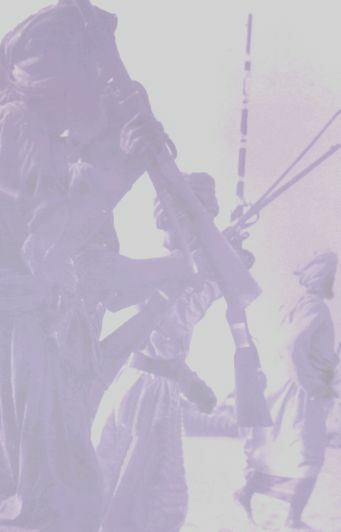 In the late 1950s there was the secret Jebal Akhdar War, an insurrection in the mountainous interior of Oman. 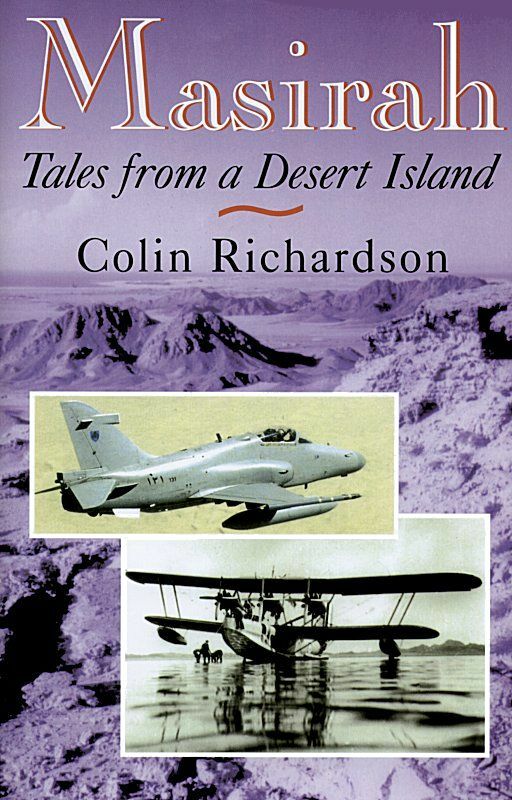 RAF Shackleton bombers operated from Masirah, and this chapter is the most complete account yet written on this war. The full RAF participation is recounted and includes the operations of transport aircraft and ground attack fighters. After this war the Masirah base was expanded and modernised to become a staging post on the new RAF route via the Maldives to the Far East. The British withdrawal from Aden, the Arabian Gulf and the Far East left Masirah stranded as the very last RAF base east of Suez. It was retained due to another Omani conflict in the southern province of Dhofar. British Forces assisted the Sultan, and Masirah was again involved. Air operations in the closing stages of the war are recounted. After the Dhofar War the RAF withdrew from Masirah and the airfield was sold to Oman as an air force training base. Most of the personnel were RAF or ex-RAF. The story continues to modern times and includes a devastating cyclone which also wrecked the BBC Eastern Relay Station on the island. There is a chapter detailing the full account of the disastrous American attempt to rescue their hostages from the Tehran embassy. After this the base was once again expanded and modernised to accommodate a new Omani Jaguar fighter squadron. In 1990-91 the Americans again used the base during the eviction of Iraqi forces from Kuwait. This is a hardback book of 363 pages with plenty of maps and photographs, and a wealth of first hand stories of the British involvement in this corner of Arabia. It covers a neglected area of RAF history and there is also much that is new and of interest to those already familiar with the eastern and southern fringes of Arabia. To those who are not, it provides a vivid description of the landscape and people. Colin Richardson is the son of an army officer and was educated at Wellington College and the RAF College Cranwell. He was on the island of Cyprus at the height of the EOKA terrorist campaign and took part as a ground attack fighter pilot during the Suez operations in 1956. Following two years on the resident ground attack squadron in Aden he became a flying instructor on Vampires at Cranwell, and then for two years on Harvards at the Pakistan Air Force College in the North West Frontier Province where he also flew the ground attack Sea Furies. He flew fighter reconnaissance Hunters in Germany before reverting to flying instructional duties at Leeming and Cranwell. He left the RAF at the end of 1973 and joined the Sultan of Oman's Air Force as a ground attack pilot during the Dhofar War. He had known Masirah in the 1950s and returned there for eight years in 1976. He then returned to Cranwell for six years, but the Call of the East was too great. He returned to Masirah where he remained until his retirement aged 60 at the end of 1994. He still flies his own small light aircraft from his private airstrip behind his home.